The Saskarc group of companies spans multiple industries, driving growth through innovation and strategic planning. With safety, quality and excellence in service and delivery at the forefront of its operations, Saskarc is an industry-leading custom steel fabrication facility located in Saskatchewan, Canada. Saskarc performs fabrication, modularization and industrial finishing of carbon and stainless steel in in platework, structural steel and access steel. 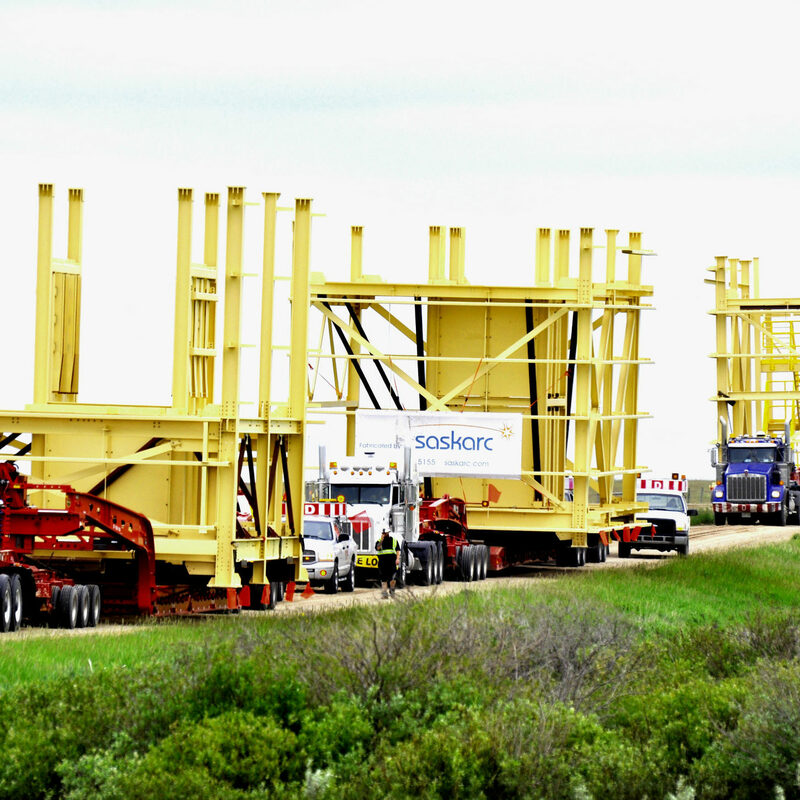 With full project management capabilities, Saskarc is equipped to fabricate and assemble oversized modules limited only by transportation regulations. When it comes to large projects, Saskarc is your turnkey professional fabrication solution. Saskarc’s extensive experience in large-scale modularization combines innovative engineering with unmatched commitment to project success. Saskarc offers several value-added services to move work out of the field and into a more controlled environment. By doing this, Saskarc can save you money, lessen risk, and relieve the pressure on your team by providing the best solution possible. The Axiom Equipment Group team has decades of combined experience in equipment rental, sales and service. Working with other internationally accredited organizations, the group has the unique ability to provide on-demand products for sale and rent. 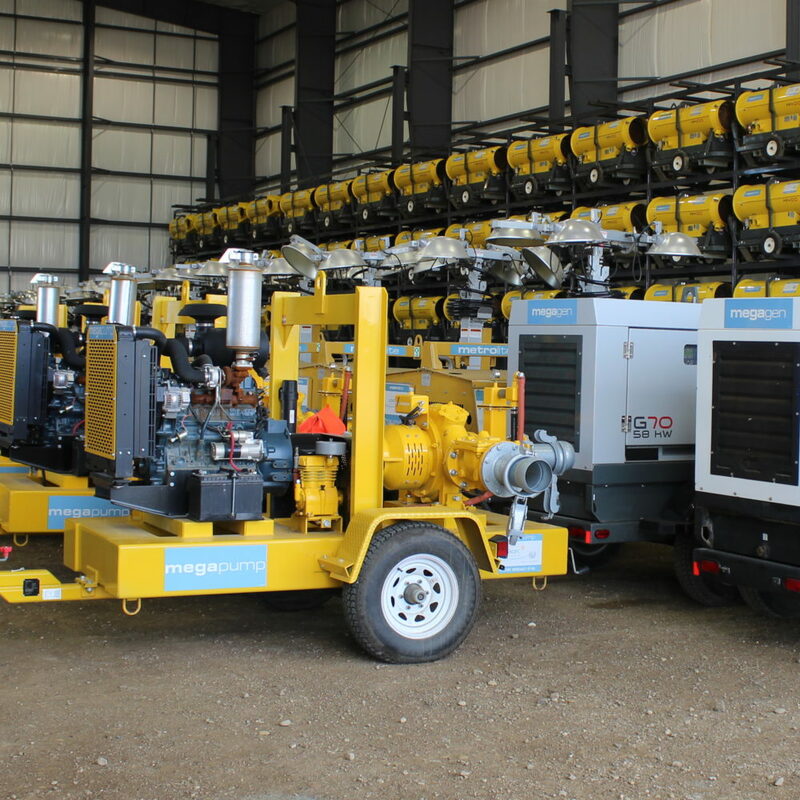 With a large fleet of new, reliable, well-maintained site equipment, AEG can meet large project demands quickly and supply quality equipment for smaller projects cost-effectively. Axiom Equipment Group is so passionate about their customer’s success that they provide a zero downtime promise backed up by combining the industry’s most reliable equipment fleet with a rapid response program, around-the-clock availability, expert service and a financing option to fit every budget. Gain peace of mind knowing your equipment won’t break down, and if it does, the experts at AEG have the inventory to repair and replace it on the fly. 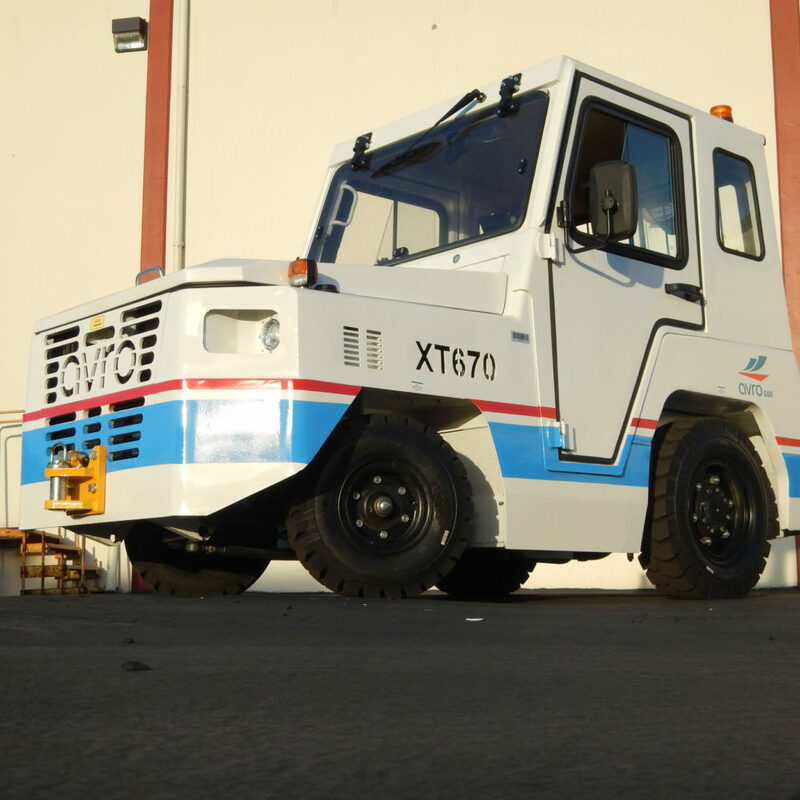 Avro GSE supplies advanced ground service equipment (GSE) in North America with a special emphasis in Canada where the company has a long-standing presence and heritage. Avro GSE provides GSE service that is proactive, cost effective and designed for rapid problem response and resolution. Avro GSE keeps your GSE and overall aircraft operations working efficiently and helps customers avoid downtime caused by old, outdated or malfunctioning GSE. Helping customers modernize their fleet with advanced technology to maximize reliability, operational efficiency, and overall safety. With strategically selected partners that offer the highest quality aviation GSE, Avro GSE is able to offer high-performance equipment that is extremely durable, even in harsh climates. This high-quality equipment in turn offers an increase in operational efficiency and ROI. With a passion for customer’s success, Avro GSE’s offerings don’t just stop at equipment. Good, well-maintained equipment should last. Avro GSE ensures smooth operations from the moment of your purchase by offering a managed maintenance program, called Avro Care, with several tiered options. With locations in USA, UK, Australia, New Zealand and Canada—SafeSmart Access has been a global provider and of portable and compliant height access equipment since 2007. 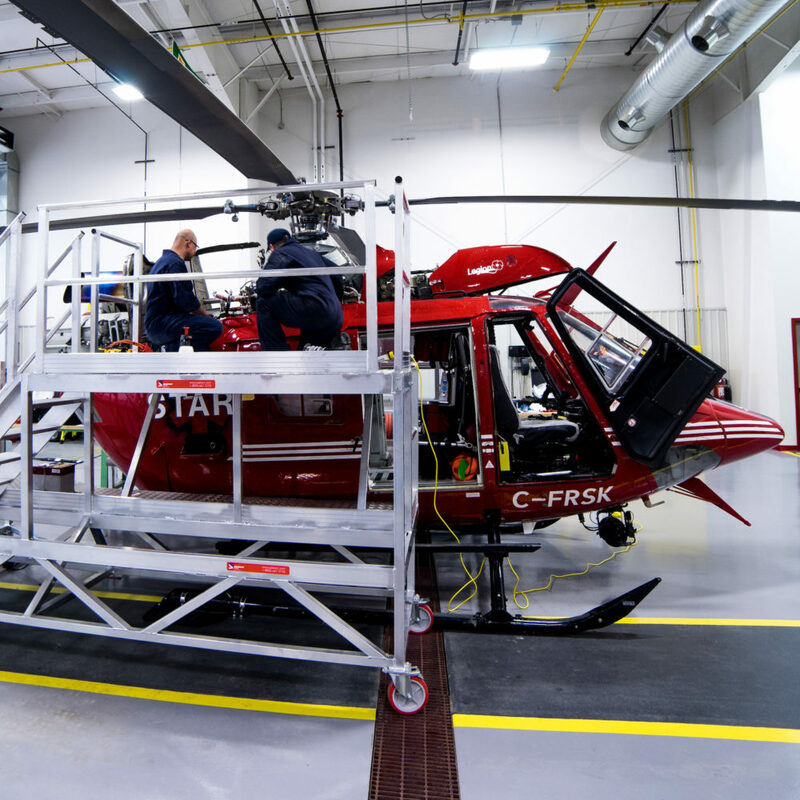 From roots as a premium scaffolding manufacturer, to evolving into a specialist in the custom platform space, SafeSmart is Canada’s best-qualified company for creating unique solutions no matter what height access challenge needs solving. With a strong committed to safer and smarter solutions, SafeSmart offers the most cost-effective and compliant solution for every customer’s unique requirements. With SafeSmart, you get the best of both worlds, the attentive care of a local provider combined with the reach of a global supplier.